Thank you to our guest blogger Anita Schnee, J.D. for leading this conversation on Medicaid work requirements. In 2010, ACA extended Medicaid health-care coverage to a population of low-income adults under 65 who would not otherwise qualify. Arkansas plaintiff Adrian McGonigle is an example. He is a 40-year old whose job, pre-ACA, provided no health insurance. After ACA, he enjoyed coverage under Arkansas’s adoption of ACA Medicaid expansion. The Arkansas work rules applied to most able-bodied adults aged 19 to 49 receiving expanded coverage under ACA. Individuals who did not report a sufficient number of qualifying hours, with sufficient frequency, would be dis-enrolled from Medicaid and would be barred from re-enrolling until the following year. Only around twelve percent of those required to report in Arkansas actually did so, however. 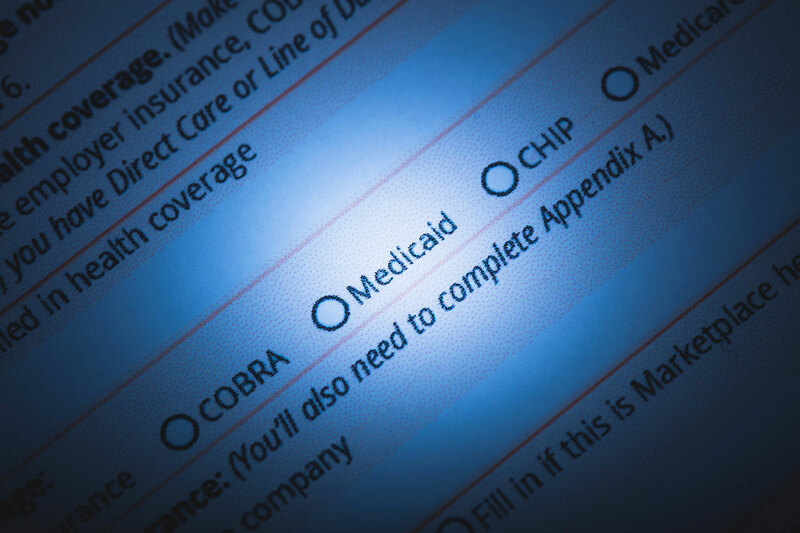 Consequently, more than 16,900 Arkansans lost Medicaid coverage after the state rolled out the work-rule program in 2018 and early 2019. Plaintiff McGonigle was one such person. Without Medicaid, he was unable to afford $800.00 of medication, he became unable to work due to his untreated medical conditions, and he was fired as a result. The judge further rejected the argument that the work rules would improve health outcomes. He dismissed as “nothing more than a sleight of hand” the HHS theory that “health – rather than the furnishing of medical services – [w]as the Act’s ultimate goal.” 9 Rather, he found, ACA was addressed to the cost of medical care; i.e., about making medical care more affordable for needy populations. The result will almost certainly be the same in the New Hampshire suit now pending, because that one is also before Judge Boasberg. The effect of the decisions is unclear in Arkansas, as dis-enrolled people are still presently without Medicaid coverage as of this writing. There will be no further dis-enrollment, however, pending subsequent developments. Kentucky Gov. Matt Bevin said that his state would appeal. Arkansas Gov. Asa Hutchinson has urged the federal government to do likewise. The Trump administration is undeterred. Two days after the Boasberg rulings, Secretary Azar approved a similar work-rule program in Utah. 1Gresham v. Azar II, No. 18-1900 (D.D.C. March 27, 2019); Stewart v. Azar II, No. 18-152 (D.D.C. March 27, 2019) (“Stewart II”), following 313 F. Supp.3d 237 (D.D.C. 2018 (“Stewart I”). The cases were decided in summary-judgment posture, finding arbitrary and capricious action on the part of HHS even despite the usual judicial deference to agency interpretation. 2Alabama, Arizona, Indiana, Michigan, Mississippi, New Hampshire, Ohio, Oklahoma, South Dakota, Tennessee, Utah, Virginia, and Wisconsin. 3Exemptions were available for the medically frail, or for pregnant women, full-time students, or caregivers for dependent children or disabled family members. 4In Arkansas there were initially no provisions to report by any means other than on-line. The reporting requirement was confusing and onerous and even the medically frail were erroneously denied coverage in some cases. After criticism of this limitation, the state subsequently allowed reporting also by phone or in person. Judge Boasberg did not reach the reporting issue. 5Stewart I, 313 F. Supp.3d at 261, citing West Va. Univ. Hosps. Inc. v. Casey, 885 F.2d 11, 20 (3d Cir. 1989). 6Gresham, slip op. at 17-18 (emphasis in original). 8Stewart II, slip op. at 35-36. 9Stewart I, 313 F. Supp.3d at 266. 10Stewart II, slip op. at 26-27. 11Gresham, slip op. at 26.